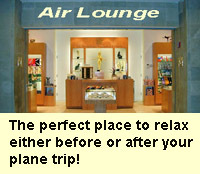 Your place to relax when traveling by air. 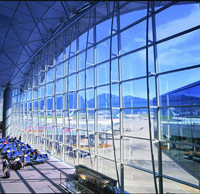 After flying a long and tiring flight, you will find the Air Lounge Relaxation lounge a lovely place to freshen yourself up. Occupying an area of 4,000 sq. ft., the lounge consists of a relaxation lounge, a restaurant, gift shop, Internet work area, 4 shower rooms, a mini gym, and 5 semi-private rooms for napping.